We’re all about good vibes here, and we value fun and positivity in the workplace. 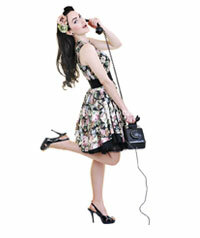 Trilogy Salon was founded on the premise that happy stylists equal happy clients. It is a privilege to serve each guest who walks in our door, and we aim to be the best part of your day, every time. 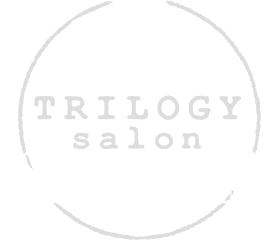 Trilogy Salon offers a full range of services for its clients, including haircut + styling, coloring, perm + smoothing treatments, nail services, and facial waxing. Our staff attends advanced training programs year round to keep abreast of new techniques and further hone our skills. We strive to represent the highest standards in the industry while delivering excellence through innovation and good old fashioned hard work! Your hairstylist is your beauty ally. Trilogy Salon has a team of hairstylists that understand how important it is to find a professional you can trust and who understands your sense of style. We want to make you feel as good as you look by helping you determine the best services for your needs and deliver the highest quality and value you expect. To inquire about a position with Trilogy Salon, please follow the link below. We highly recommend making reservations in advance, but feel free to call on short notice, as we may have an opening or cancellation. A credit card will be necessary to hold your reservation. You can schedule your appointment by phone, in person or online. Reservations for your appointment are held with a credit card. Q. When should I arrive for my appointment? Please arrive 10-15 minutes in advance of your appointment. Being on time for your appointment is important so that you may receive your full service and our other guests are not inconvenienced. Please be aware that if you are more than 15 minutes late for your scheduled appointment, your appointment may not be held or rescheduled to another date and/or time. If you know you're running late, please call. Q. How do I cancel or reschedule my appointment? We ask that you kindly give us 24-hours notice if you are unable to keep your scheduled appointment; so that we have an opportunity to book someone else. Providing outstanding service is the core of our business. Because services are reserved especially for you, we ask that you notify us 24 hours in advance to change or cancel appointments without penalty. Without 24 hour notice, we will charge a fee of 50% of the price of the cancelled service, and 100% of the service in the event of a “no-show.” We thank you in advance for your cooperation and understanding. We accept Visa, American Express, Discover and MasterCard credit cards. Cash and (local)Personal checks are also accepted with identification and are subject to a $25 return check fee. Our prices do not include gratuities. Tipping is at the discretion of our clients, but if the service meets or exceeds your expectations it is definitely appreciated. The industry standard is 15 – 20% of your total service fee. Gift certificates do not include gratuity unless specifically noted otherwise. Absolutely! They are the perfect gift. Whether it is a birthday, holiday, business recognition or "just because", a Trilogy Salon Gift Certificate will be appreciated by anyone! Gift certificates can be purchased in any dollar amount and may be used in the salon for any services or retail purchase. Please stop by the salon to purchase it in person. Q. What is your return and exchange policy? Gift certificates are non-refundable. We will accept returns of all professional hair products within a two-week period, assuming that the hair product has been minimally used. If for any reason we fail to meet your expectations with any of our services or customer support, please let us know. We will re-do any service you are not satisfied with if brought to our attention within a two-week time period following your service. If you have suggestions for our business that will help us to improve our salon or any aspect of the customer service experience, please let us know. We would love to hear from you! Q. Is everyone on your staff licensed? Trilogy Salon understands that education and knowledge is of the utmost importance for success. Each employee will be required to have one of the following active license in the State of Michigan; cosmetology, nail technician and/or esthetician. All employees will be supplied with continuous education on a monthly basis to insure everyone is active and up to date on techniques and product knowledge. Trilogy Salon is a company that believes in investing and growing people. Q. Do you offer bridal group and special event services? Congratulations! We’d be honored to prepare you and your bridesmaids for your special day. Please email us at hello@trilogymidland.com. In the email, please include your wedding date, a picture of your dress (or dress style that you have decided on), pictures of your desired hairstyle, and pictures of any hair accessories. You will be scheduled for a consultation with an appropriate stylist(s) and a contract will be created based on your consultation. Typically, a deposit of 50% of your total service will be due upon initial approval to reserve your date for hair services. Q. Do you offer off-site bridal services? Absolutely! Our stylists will be happy to travel to you on the day of your wedding. From time to time we hire new members who are a good fit with our salon. We are always interested in receiving resumes, even during times when we are fully staffed. Things happen so we welcome your application if you are interested in a position with Trilogy Salon. In consideration of other guests, we request that you don’t bring children unless they are receiving a service. In order to ensure their protection, children under the age of 12 are not permitted in the salon unless they are accompanied by an adult. We wish to provide a relaxed and peaceful atmosphere for all of our clients who are receiving services. Are you in love with your recent Trilogy Salon experience?